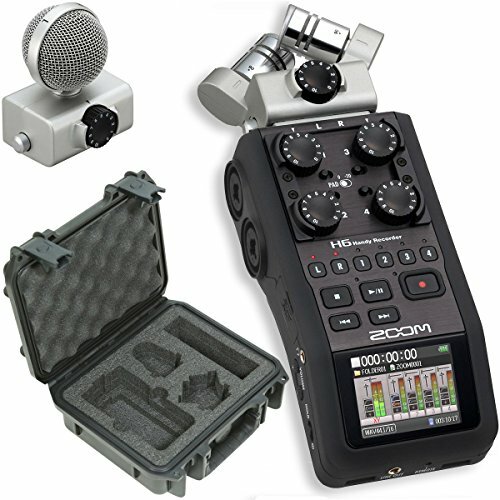 This Military-Standard waterproof hard case was specifically designed for the Zoom H6 recorders. The interior is custom cut high quality PE foam that includes space for all the items boxed with the Zoom H6. This includes pockets for the recorder, XYH-6 X/Y mic capsule, MSH-6 MS mic capsule, cables, memory cards, and additional accessories. Not only does the SKB Zoom H6 case provide the ultimate protection for the recorder, it is backed by SKB's unsurpassed Lifetime Warranty.